I have this one on the wall of my office. 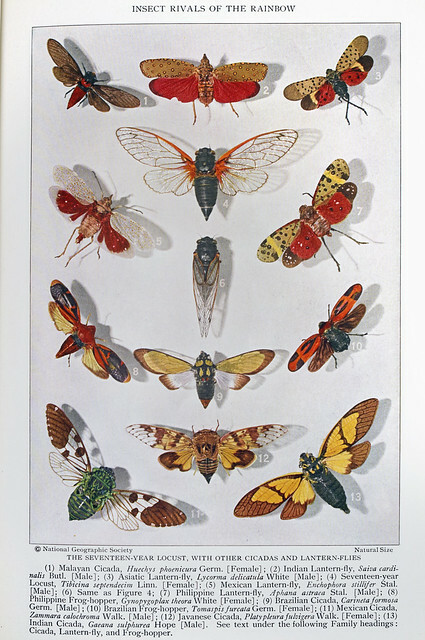 Insect Rivals of the Rainbow, Plate VII from National Geographic magazine circa July 1929. This plate features cicadas, plant & frog hoppers. #2 Indian Lantern Fly, Saiva cardinalis (Butler, 1874).